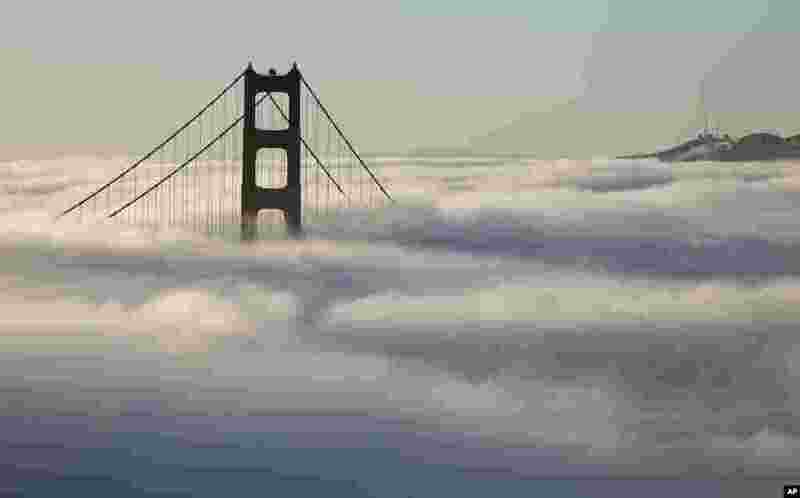 1 Fog blankets the south tower of the Golden Gate Bridge in San Francisco, California. 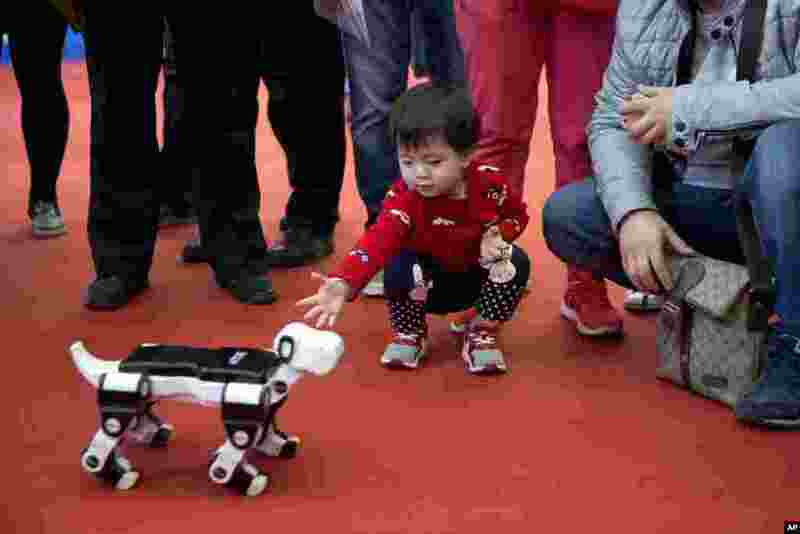 2 A child reaches out to a robotic dog displayed at the World Robot Conference in Beijing, China. 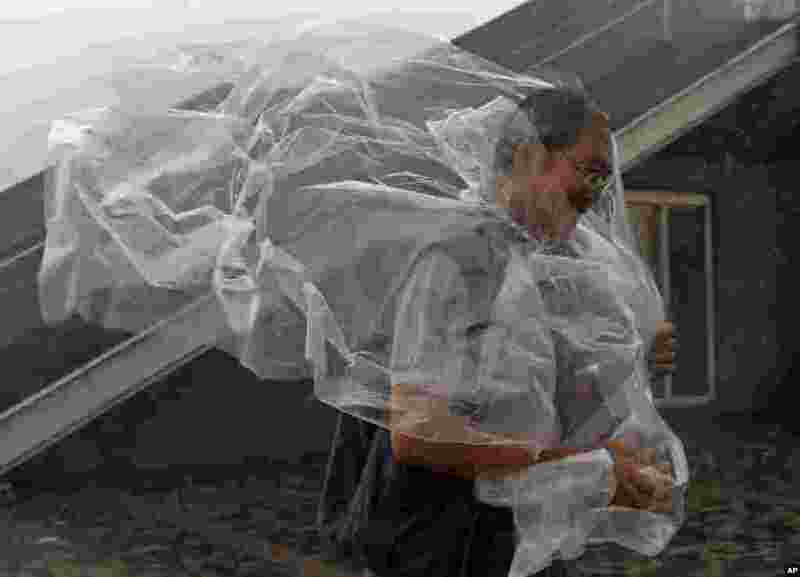 3 A man braves the wind on the waterfront of Victoria Habor as Typhoon Haima approaches Hong Kong. 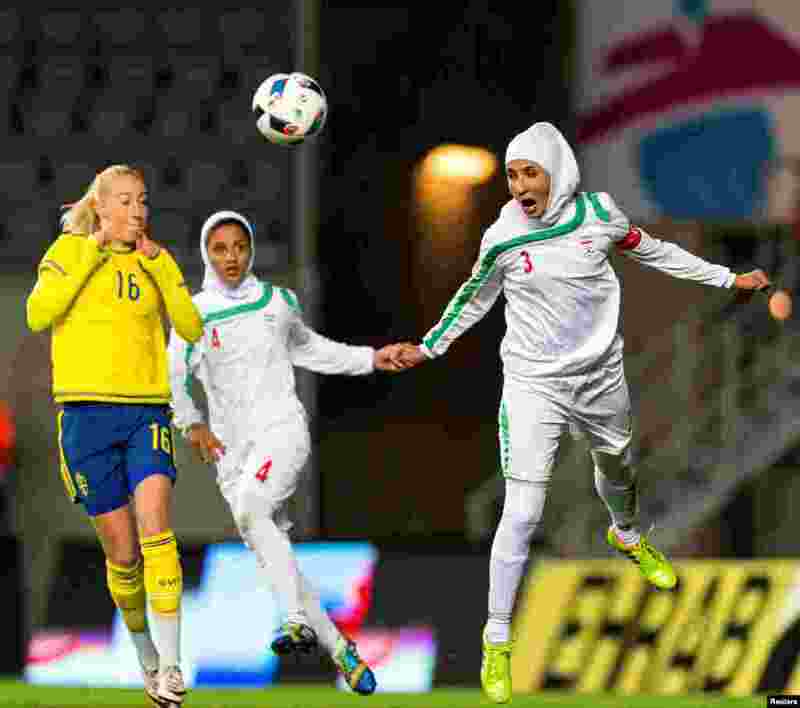 4 Iran's Koueistan Khosravi heads the ball in front of Sweden's Petra Andersson during the international friendly soccer match between Sweden and Iran at the Old Ullevi Soccer Stadium in Gothenborg, Sweden.